Riverside Walk, image courtesy of Zion Ponderosa. With 229 square miles of soaring cliffs, narrow canyons and striking scenery, it’s no wonder Zion National Park was one of our nation’s top ten most visited parks this year. My first and only visit there was an overnight almost ten years ago, and I’ve been itching to go back ever since. If it’s time to cross Zion National Park off your bucket list, or if you’re me and couldn’t accomplish much on your first and only visit there, this is the guest post for you! 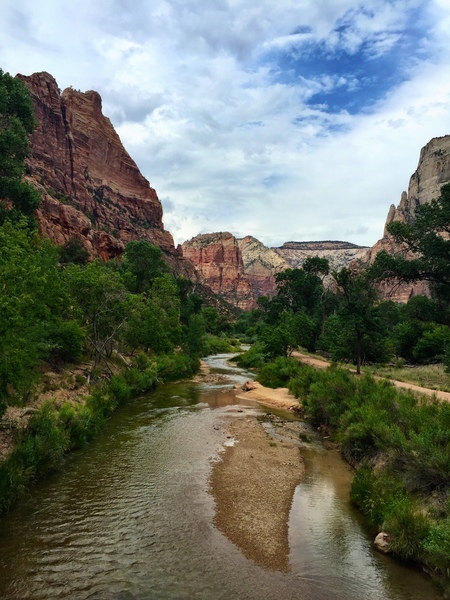 Take it from today’s guest blogger, Kirsten Metcalf, on behalf of this post's sponsor, Zion Ponderosa, and try one or all of these things on your trip there. If you’re looking for a way to ease into hiking in Zion, or need a family-friendly trail to try, Riverside Walk is the perfect introduction to all the park has to offer. Once called Gateway to the Narrows, this easy trail is only 2.2 miles round trip, and it’s paved the entire way. There are some side trails you can take to get closer to the Virgin River, and one even leads to a small waterfall. 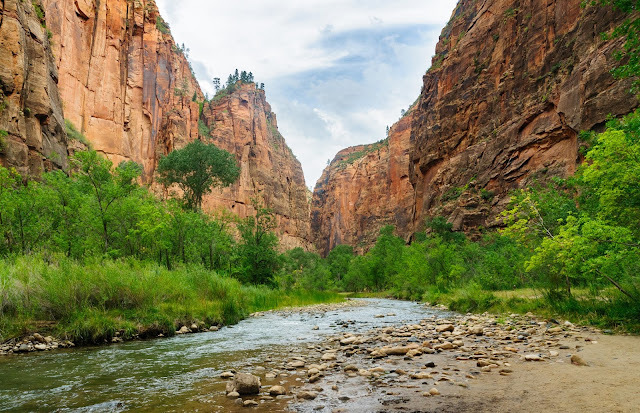 Enjoy the stunning views of Zion Canyon as you walk along the river the entire time, and you can wade in the water to cool off if you go during the summer. Take in the Views from the Canyon Overlook Trail. Another way to ease into some of Zion National Park’s more strenuous hikes is taking this 1-mile round trip hike along the Canyon Overlook Trail. For the best overview of the park, this is where most go. Any time of the day gives you the perfect vantage point for magnificent scenery, but the best views are at sunset. There will be some drop-offs along the way, and you might feel as if you’re hiking to the ends of the earth, but that Instagram-worthy view is worth each step. 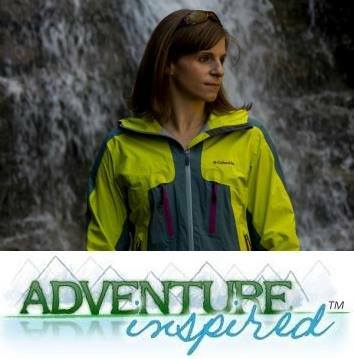 Sometimes adventure doesn’t mean heart-racing, sweat-inducing fun. Sometimes, it just means seeking and finding something special or beautiful. 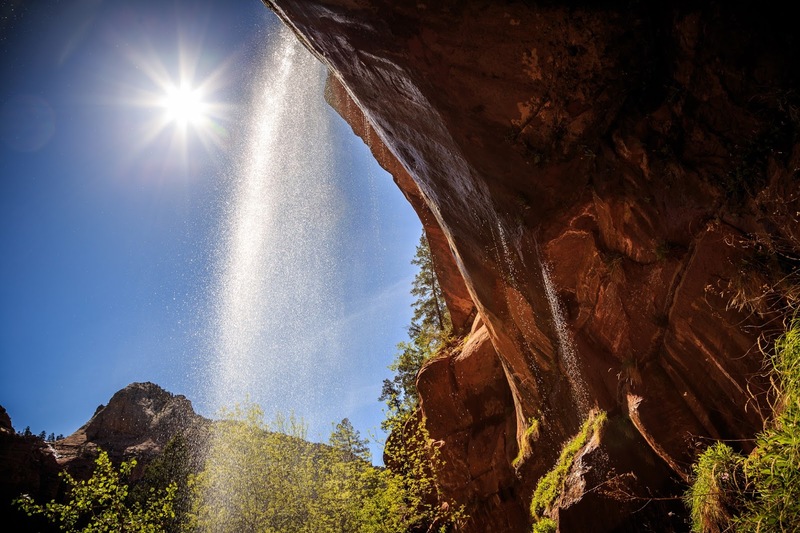 The Emerald Pools Trail System offers both with three trails that vary by length and skill level. he trail to the Lower Pool is 1.2 miles round trip on a paved sidewalk (you’ll walk behind a cool waterfall to get to the Upper Pool), while the Middle Pool is also paved and is 2 miles round trip. Roughly 2.5 miles round trip, the trail to the Upper Pool, which includes seeing all three pools, is composed of sand and rock surfaces. Whether you do one or all three, it’s a fun way to enjoy some liquid natural beauty. Near the Emerald Pools, image courtesy of Zion Ponderosa. Drive through Zion-Mt. Carmel Highway Tunnel. This man-made attraction, carved through a sandstone cliff, is a unique way to see Zion without even having to put on your hiking shoes. It’s a busy part of the park, and with good reason. Long tunnels are fun to drive through regardless, but the Zion-Mt. Carmel Tunnel has an added fun feature—carved out viewing windows for you to check out the canyon and Great Arch from below and inside the earth. Stay cool in The Narrows. Chances are you already know about The Narrows. It’s a very well-known part of Zion National Park in the hiking community. It’s a great way to cool off on a hot day as you make your way upstream through the Virgin River and surrounded by 2,000-foot high canyon walls. Day hiking, when the weather permits, is the best time to go because you can do it without a permit if you start at Riverside Walk and don’t go past Big Spring, about 10 miles round trip. Just remember you’ll get your feet wet, and maybe more, so plan to wear the right clothes, sturdy water-resistant shoes, and consider bringing hiking poles. Also, stay on top of park alerts; The Narrows can close if the water is too high. The Narrows, image courtesy of Zion Ponderosa. Visit the Lesser Known Pine Creek Waterfall. We’ve already discussed a few of Zion’s water attractions, but this one is a little less known and trafficked. And while Pine Creek Waterfall is smaller waterfall, that doesn’t make it any less appealing than the others. You’ll discover for yourself when you take the short, 0.5-mile hike that hugs the creek. The trail ends at the clear, sparkling pools that you’ll definitely choose to swim in if you take this charming hike in the sweltering heat on a Southern Utah summer day. If you want a Zion experience that’s a little quieter than the rest, but still provides spectacular scenery, visit Kolob Canyons. This drive includes scenic viewpoints as well as miles of hiking trails that lead into the canyons. While on your quiet drive, make time to see Kolob Arch; it’s one of the biggest freestanding natural arches in the world. Kolob Canyons, image courtesy of Zion Ponderosa. 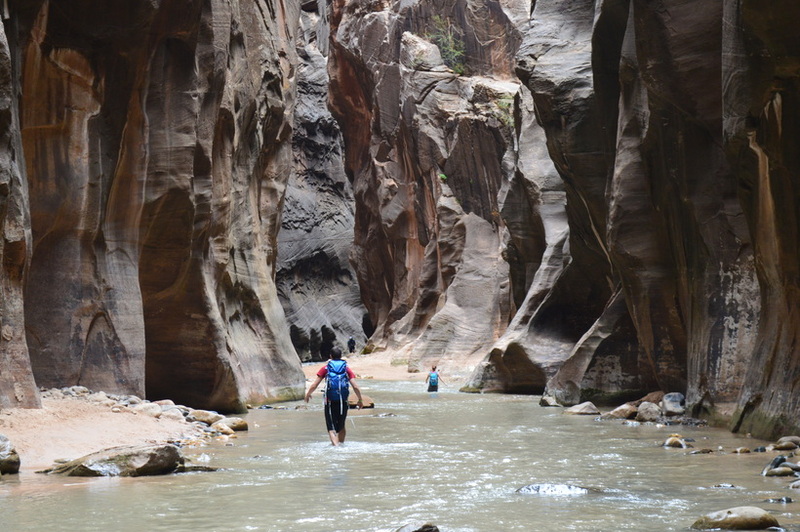 If you're a thrill seeker, this Zion adventure has your name written all over it. Canyoneering, the sport that wraps rappelling, swimming, hiking and problem-solving all into one fun and crazy outdoor activity, is a once-in-a-lifetime experience for most. So why not do it where it was basically invented? There are numerous slot canyons, that are amazing natural masterpieces, you can explore through canyoneering, whether by yourself or on a guided canyoneering adventure. If these eight ideas aren't enough to keep you busy, check out these 17 additional Zion National Park adventures for 2017. Huge thanks to Kirsten Metcalf for lending her expertise, and to Zion Ponderosa for sponsoring this post! What must-do Zion activities are on your list if you've been there?